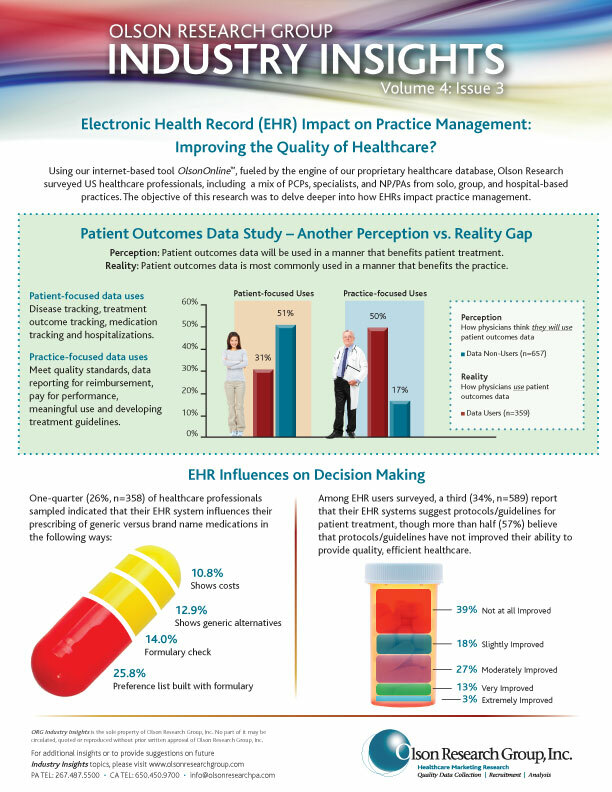 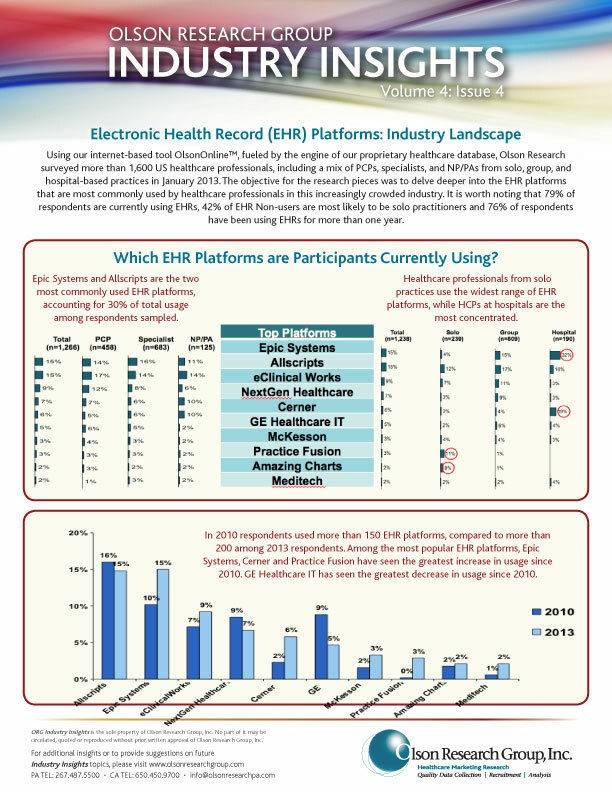 Electronic Health Record (EHR) Impact on Practice Management: Improving the Quality of Healthcare? 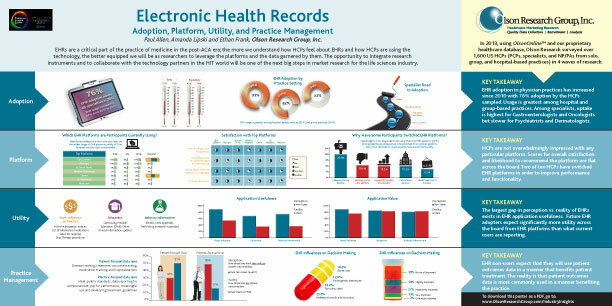 Industry Insights Volume 4: Issue 3 Our recent research on Electronic Health Records (EHR) has uncovered some unexpected trends associated with adoption, utility, and impact on practice management. 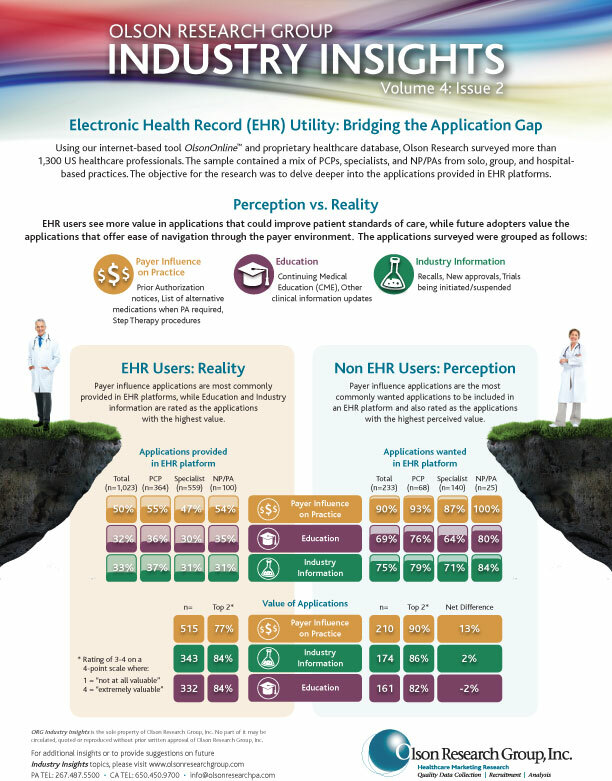 While EHR platforms offer the promise of increasing efficiency and improving patient care, are physicians really utilizing EHR to achieve this goal? 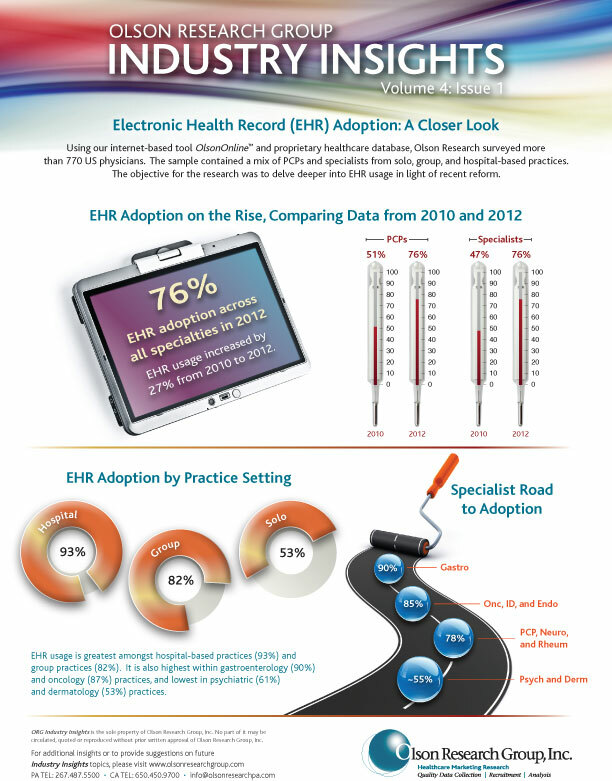 The answers may surprise you.